We will discuss your prosthetic options and answer any questions that you may have. ​Face to face appointment with your primary care physician needs to be scheduled before casting of amputated limb. We will provide you with a patient care binder with information regarding your program. We will compile your clinical profile, take measurements, and complete HIPPA documents and Registration forms. You will have your amputated limb casted/have plaster impression taken . Diagnostic fitting of your socket will be done determining if socket needs any modifications. Follow up and delivery of your prosthesis. You will also receive additional educational/warranty handouts for your patient care binder. 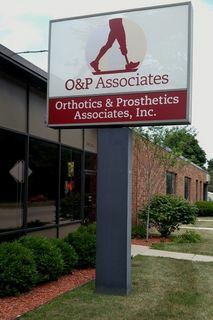 Your first follow-up appointment at O&P Associates is either within one week after the prosthesis is delivered to you, or after you have had two to three appointments with a Certified Physical Therapist. ​​O&P Associates’ rehabilitation goal is to empower you with knowledge, choices and involvement in your prosthetic program. O&P Associates' team will be by your side as you ​navigate your journey as an amputee.